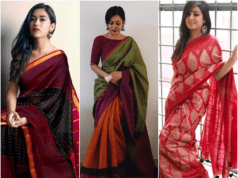 Accessories Indian Culture 5 South Indian Sarees You Can Proudly Drape! The love of Indian women for sarees is world famous. No matter how modern, young or contemporary the woman is, they will always have at least one saree in their wardrobe. Women have so much of love for this six yards of fabric. Especially during the festive or traditional occasion. The elegance of a saree never goes unnoticed and it is a special preference during a girl’s wedding. The girl’s family gifts her bunch of beautiful sarees as a part of the wedding gifts. Thus it is a beautiful souvenir for the bride and the elegance of the South Indian sarees is extremely popular among Indian women. Mysore silk has been popular since the 18th century. It is owned by almost all saree lovers. The saree was owned by women of Royal families and was loved due to its intricate zari work. The sarees are very easy to wear with their minimal design and thus are a major hit among all women from different parts of the country. 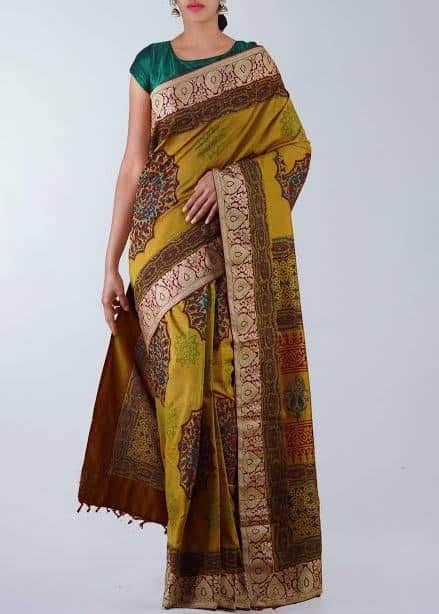 One of the popular hand weaves from Telangana, Gollabhama sarees. The reason behind their popularity is their weaving pattern. They narrate a story. Kapas (cotton) seeds is the basic ingredient in weaving these sarees. 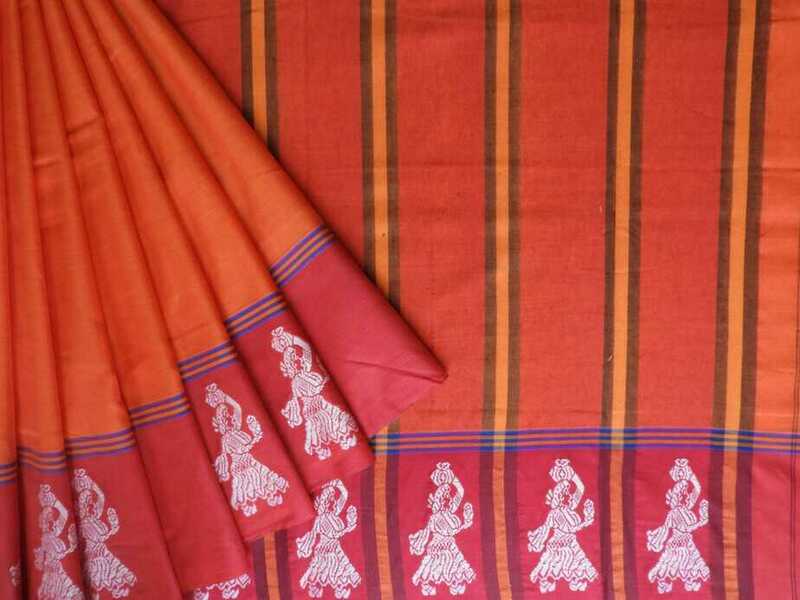 Traditional Gollabhama Saree will have beautiful embroidery depicting a woman carrying a pot of water on the pallu. 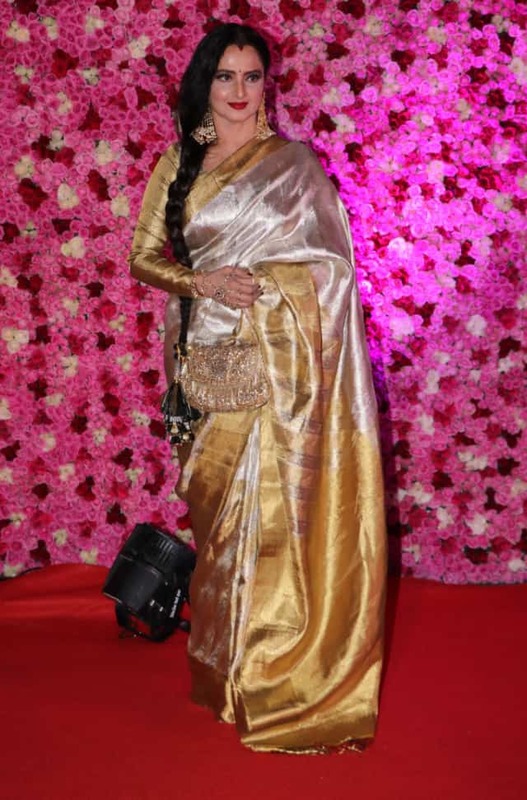 The traditional hand-woven sarees are extremely popular for festive occasions as well as regular occasion. The traditional rich looking silk sarees are made of pure silk with glorious zari work that is extremely intricate and rich. They are expensive but a must have for all women who love to collect silk sarees. 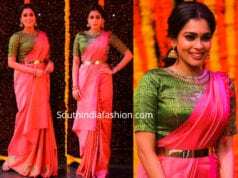 The Kanjeevaram sarees hold a special place in the hearts of women who are happy with all things glitzy and glamorous and are a hit among celebrities also. Special homegrown cotton from Dharwad, Karnataka is the base ingredient in weaving these sarees. They are unique due to their colours and are very soft to wear. These are a nice change for adventurous women with multiple colours and designs. 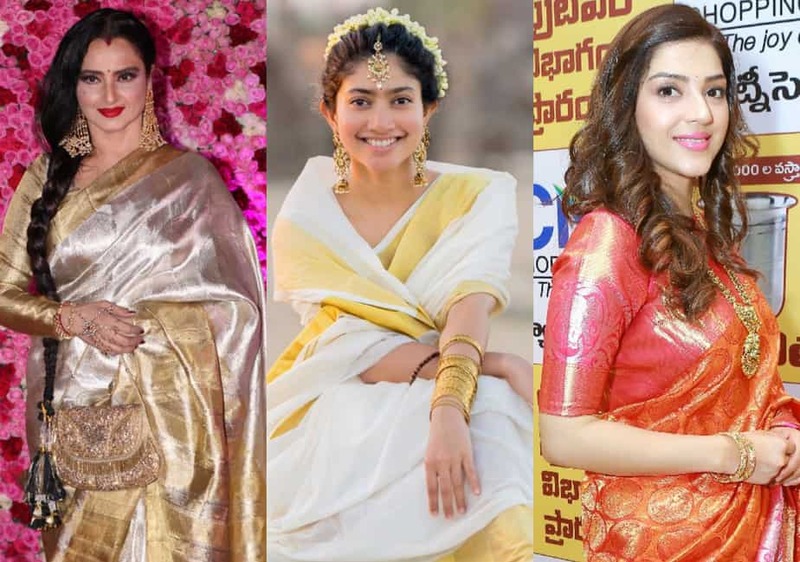 So, go on and own some of the most popular and treasured South Indian sarees and flaunt them at all types of occasions that you find them fit for.